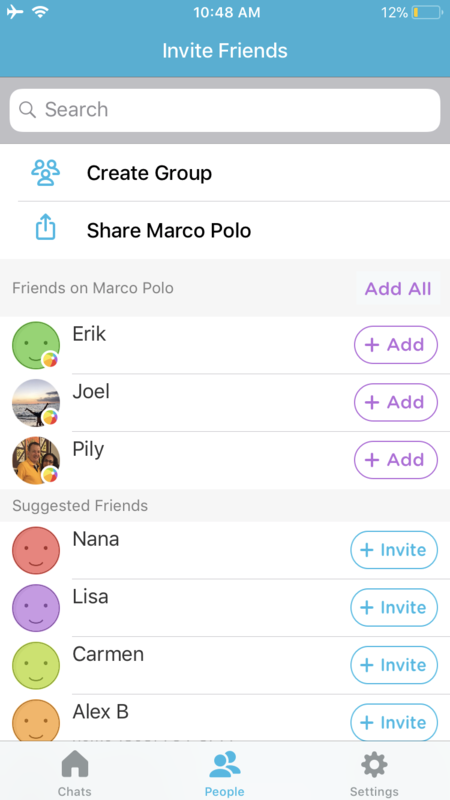 Marco Polo™ is a fast, fun, and easy way to keep in touch with family and friends! First, search for Marco Polo™ in the App/Google Play Store and download the app. Next step: Add friends to talk with. To do so, tap on the magnifying glass in the top right corner of the home screen or the person icon at the bottom of the home screen menu. You will be taken to the ‘ Invite Friends’ screen where all of your phone contacts are listed. If they have Marco Polo™, there is a Marco Polo™ Beach Ball that will be displayed along with their name/image. If they do not have Marco Polo™, it will just display a phone number next to their name and you can send them a text invite to join! Once you’ve added some people, go back to your Marco Polo™ home screen and tap on their chat tile to open the conversation. Once you have a conversation open, simply tap 'Start' to begin recording and 'Stop' o finish and send your Polo! The person you’re chatting with will get the Polo and can watch it whenever they’d like however many times they’d like. 3. 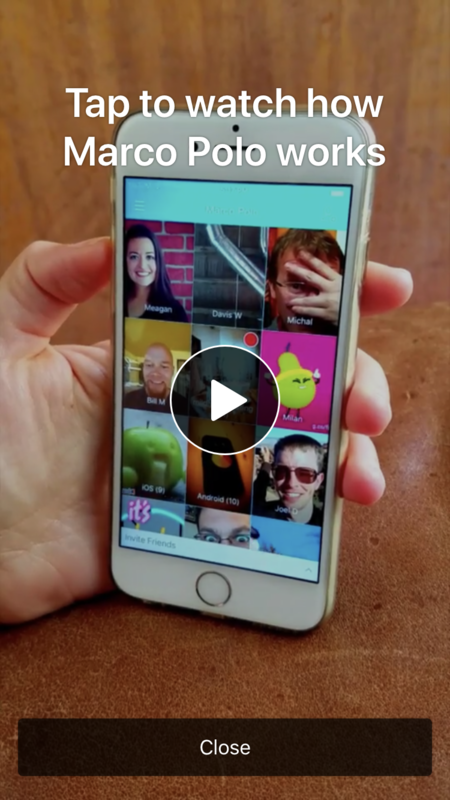 Tap 'Demo Video' and play it!